The title “process server” is one that those in the legal field know all about, and those outside of the legal business probably have little to no understanding of. There are a lot of misconceptions about what process serving is and what is needed of process servers on a day-to-day basis. To begin to describe what a modern-day process server does, let’s first start out with a little history of how and why process servers are needed. First, service of due process is a privilege set forth by the Constitution. This means that all citizens of the United States hold the right to be informed of being summoned, these legal guidelines are specified in the fifth and sixth amendments of the Constitution. Process servers were intended as a messenger system to notify individuals of their constitutional right to due process of law by “serving” them with a notification that states the legal issue that specifically involves them. Originally, legal papers were typically served to individuals by their local county sheriff. As cities expanded in the United States, it became a challenging endeavor for local sheriffs to disperse court papers while attending to legal situations in their jurisdiction. There was a desire for an individual to deliver these papers legally and in a timely manner; for that reason, process servers were formed. Process servers are needed in an assortment of tasks such as filing court papers, serving legal documents, and document retrieval. Their principal job is to deliver or “serve” legal documents to a defendant or person involved in a court case. After serving any legal documents, process servers have to deliver actual evidence that the legal papers were served. The verification that is offered is referred to as an affidavit of service or proof of service, which must be notarized and given to the individual or company who required the papers to be served. 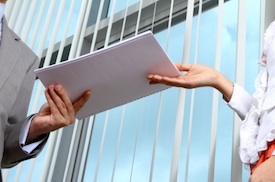 Process servers are legally required to serve papers in the correct manner laid out by their state. Process serving laws differ by state, so each individual process server may have a distinctive way of carrying out service. Service of process is necessary for many reasons, but the primary reason is to make sure that the due process of law is upheld in the United States. An additional reason process servers are an essential part of civil society is to ensure that legal papers are served in a highly effective and appropriate fashion. If papers aren’t served properly, the court is not able to rule on a case relating to an individual if they were not legally made aware of it. If service is determined to be improper, the entire case may be thrown out. Therefore, it is essential to be aware of the laws of your state pertaining to the correct way to serve a defendant legally. ServeNow.com is a trusted network of local, pre-screened process servers. To find a professional process server on ServeNow.com, please do a search for a city or zip code or call (877) 737-8366.